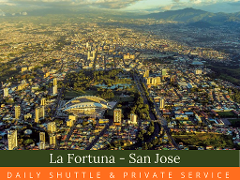 Daily shuttle service from San Jose to La Fortuna del Arenal, door to door service from main Hotels in San Jose to your Hotel in La Fortuna. Available at 7:30 am and 2:30 pm. It is necessary to make a reservation in advance. 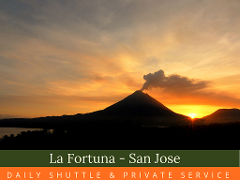 Daily shuttle service from La Fortuna to San Jose, Available at 7:30 am and 12:30 pm. 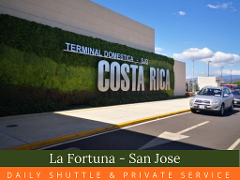 We can drop you off in SJO Aiport if you need. It is necessary to make a reservation in advance.